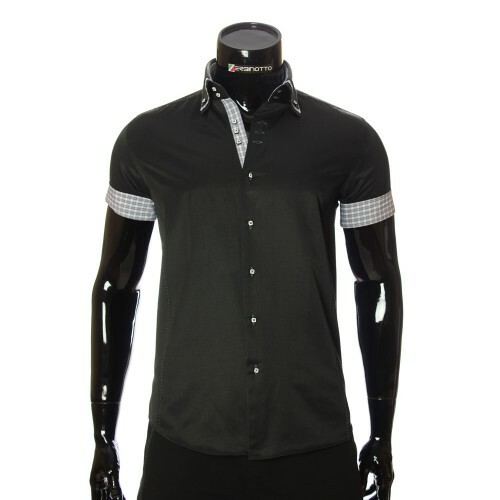 Short Sleeve Shirts There are 73 products. The ideal solution for hot summer days, in an office environment, is a short-sleeved man's shirt. Because it is practical and convenient. 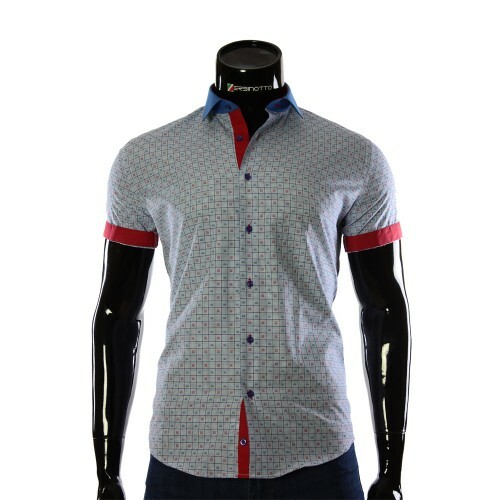 Even despite the prevailing opinion that a shirt with a short sleeve is an informal style, it takes place to be within the office dress code. The main thing in this case is not to wear a shirt with a short sleeve under the jacket. 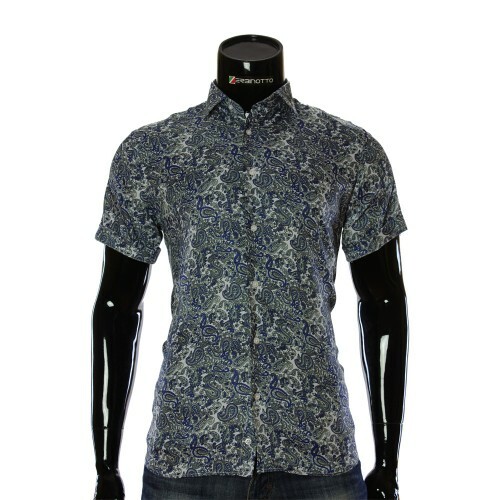 These two things are incompatible! 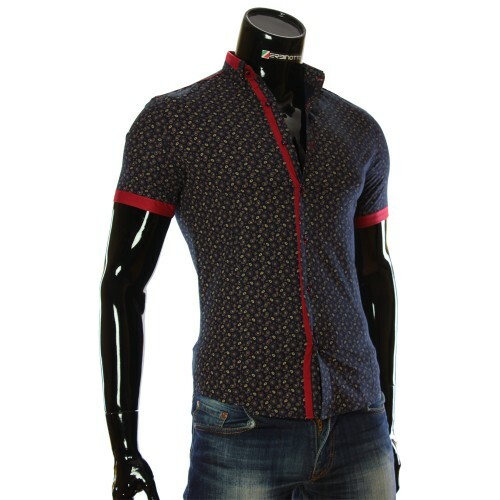 A huge number of shops specializing in clothing, will gladly offer you their services. 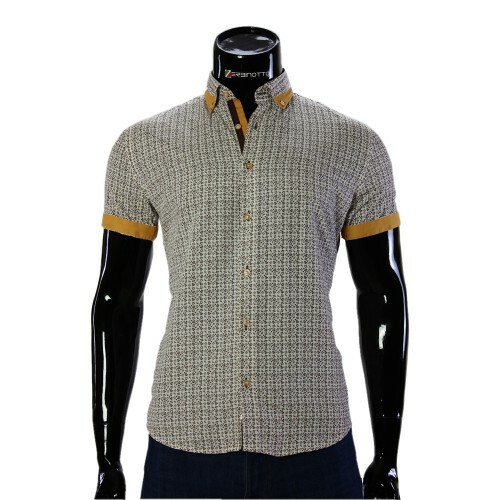 However, you should choose as carefully as possible. 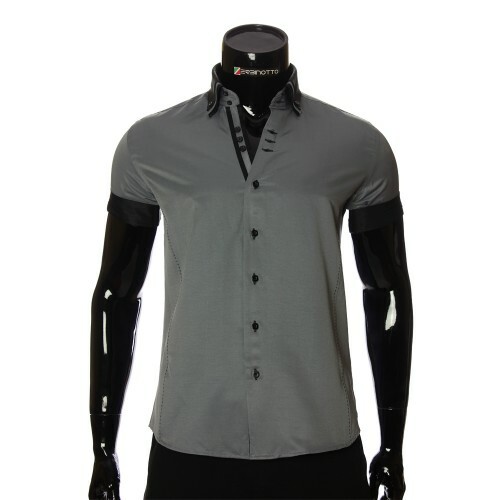 Shirts with a short sleeve are divided into many subspecies. 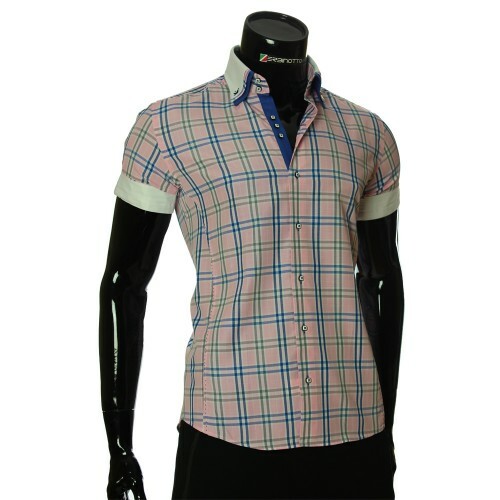 They can differ not only in price, but also in style, length of sleeve, width of armhole and other characteristics. 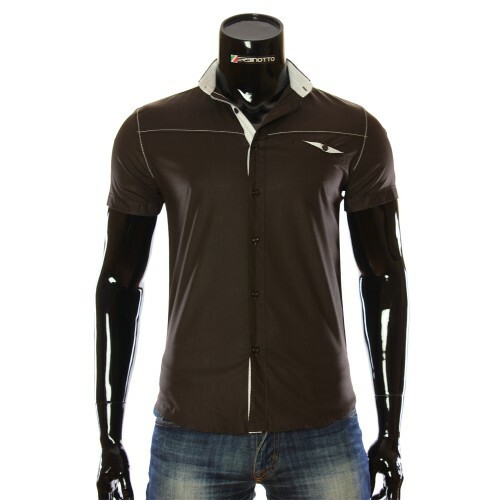 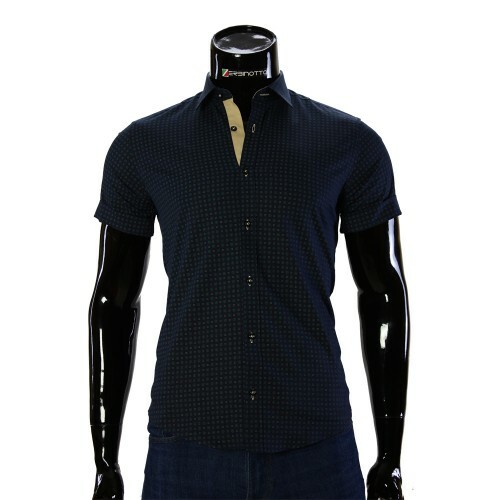 In this case, prices for shirts for men with short sleeves depend on a number of criteria. 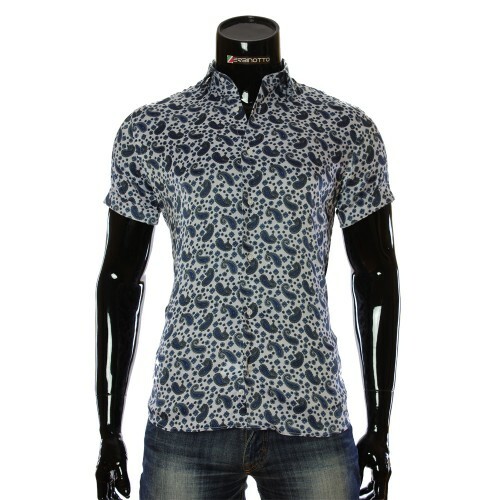 The choice of shirt should be carried out for one's own needs. 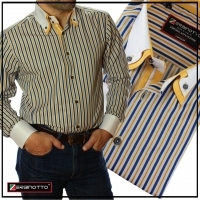 If you have large parameters, or you like to eat, you need a shirt with half-trimmed cut. 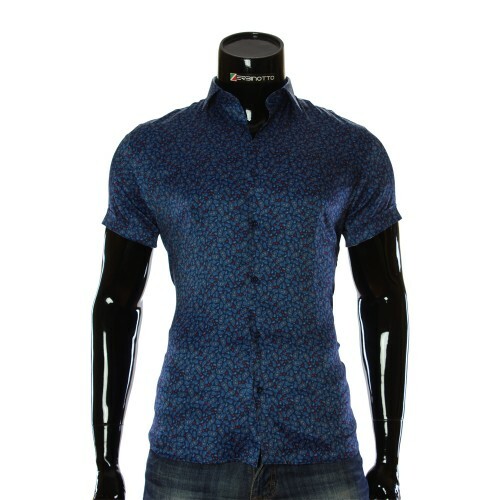 But not always there is a priority of the place where you can hide your stomach or wide waist. 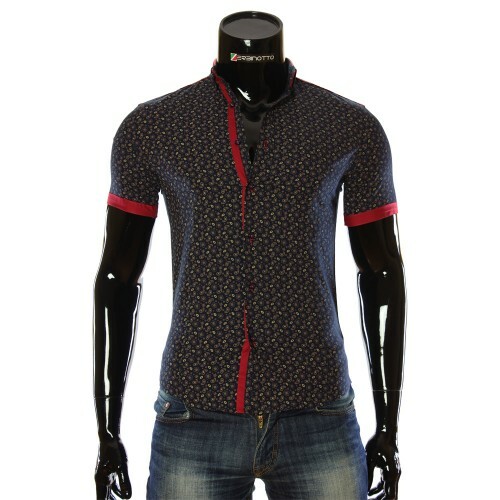 And then the priority parameter is also the size. 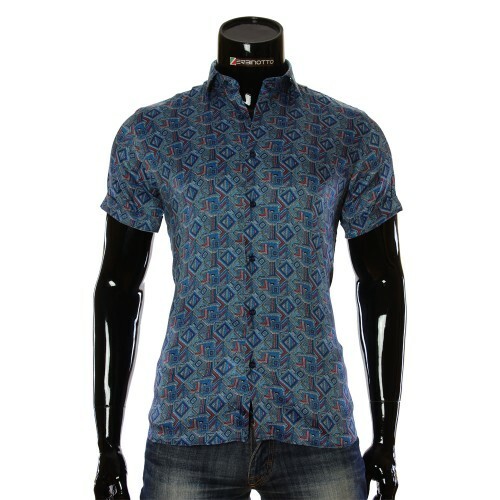 We offer the most diverse shirts. It is also important that we have a huge range of products. It can be fitted, half-fitted, with a classic cut shirt. 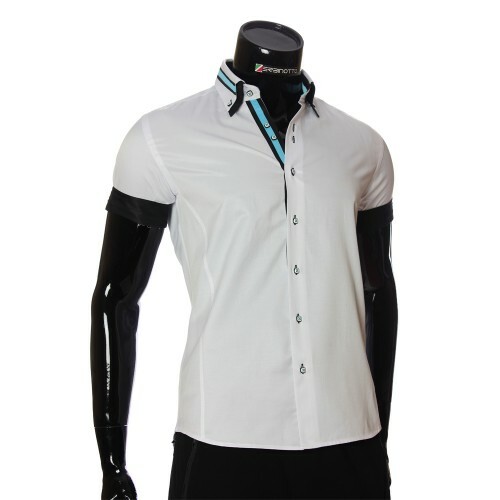 You can choose a Slim fit or Regular fit shirt, or just a tennis shirt. It does not matter where you are.Since all transactions are performed virtually, for purchase you just need to place an order, indicating contact information for communication. 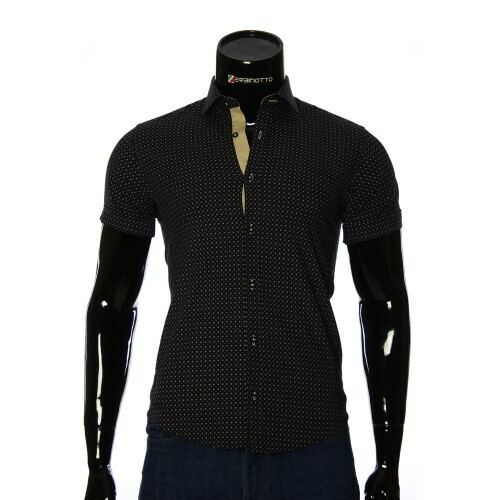 The shirt you bought will be delivered by courier service in the near future.Choosing a shirt with a short sleeve, try to adhere to such very important rules, which we will gladly share with you. Remember that your image in a shirt with a short sleeve can be either good or bad, the third option does not exist. 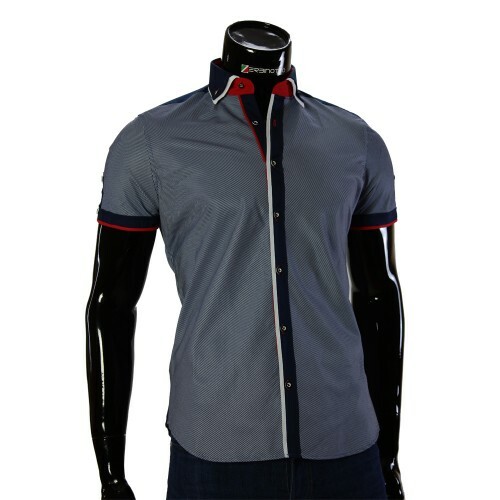 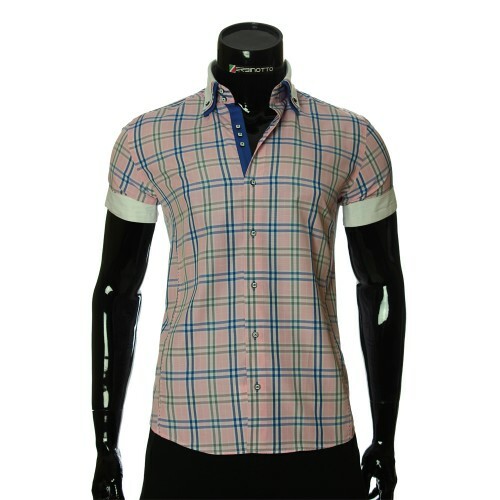 • Depending on the constitution, it is worth choosing a shirt with a short sleeve fitted or half-fitted. In this case, it is necessary to take into account not only the volume of the chest and waist, but also the length of the shirt with a short sleeve. If the length of the shirt is short, it can be worn out. If the length is below the middle of the pockets on your pants, in this case, the shirt with a short sleeve should be refilled. 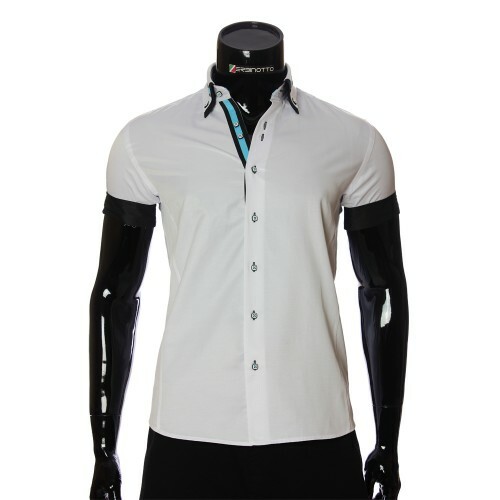 • Young people of lean physique should abandon a shirt with a short sleeve for the simple reason that it emphasizes sheer thinness and lack of muscle. • The sleeve of the shirt should be narrow enough, but do not restrict movements. The correct length is when the muscles are visible. 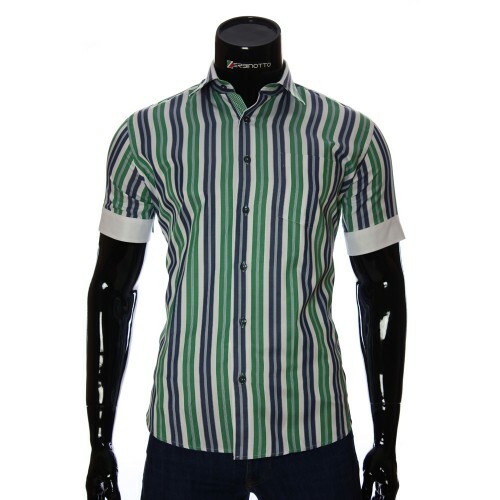 There are models of shirts with a short sleeve, in which the sleeve has a length that allows it to roll. 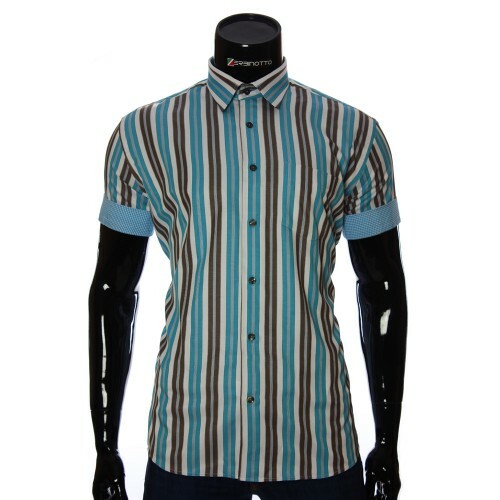 It looks very stylish and is quite acceptable for a shirt with a short sleeve. 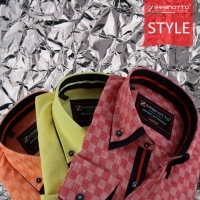 • Concerning color solutions: for the office and everyday wear, shirts of the same color are quite suitable. Muted quiet colors, or bright but not "screaming" colors. More variegated, with a variety of patterns should be worn during holiday vacations, or on the weekend. 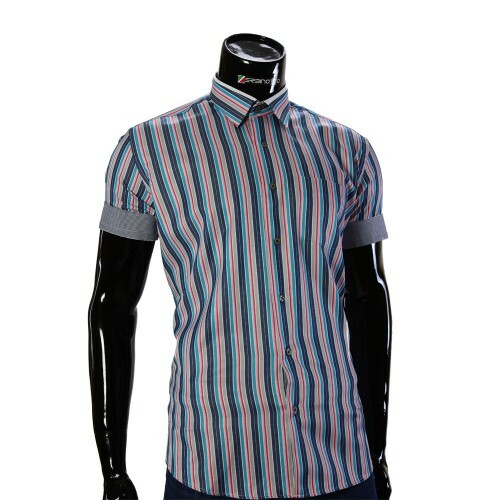 When selecting a pattern, consider the rules of the cell and the strip. • Shirt with short sleeves is perfectly combined with business classic trousers and tie. The main rule is not to wear a jacket on top. 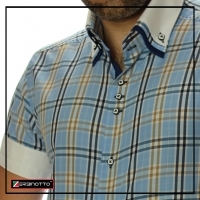 • And finally one of the variants of a short-sleeve shirt (for informal setting) is unbuttoned with a white T-shirt (Bruce Willis famous style). In the catalog of our online store, in the section "Shirts with short sleeves" you can get acquainted with a wide range of goods. We are sure that the simple rules with which you have read earlier will help you in choosing the shirt that suits you with a short sleeve. In case you find it difficult to make a choice on your own, our managers are always happy to come to your aid. 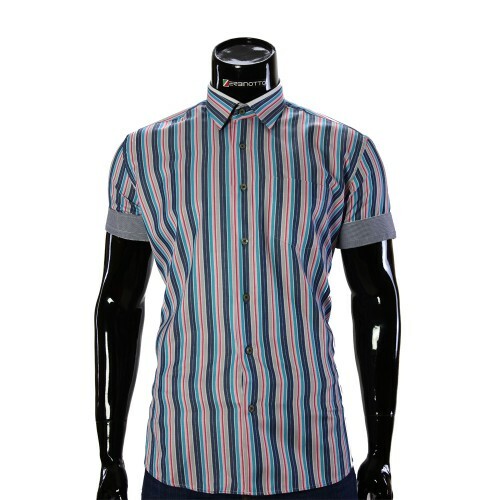 Looking for a brand short-sleeved shirt? 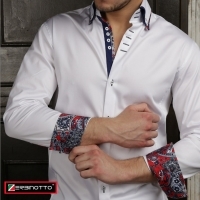 Visit our online store Zerbinotto and order with delivery cheap men's shirt with short sleeves. 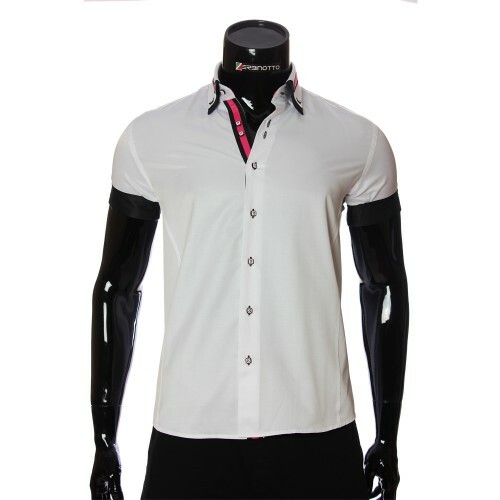 Additionally, we offer to buy shirts with short sleeves (branded) with delivery to Kazakhstan and all regions of the country (Astana, Shymkent. 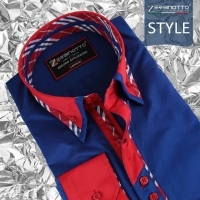 Almaty, Atyrau, Kokshetau, Kostanai, Shymkent, Kyzylorda, Pavlodar, Petropavlovsk, Taldykorgan, Taraz, Turkestan, Uralsk, Ust- Kamenogorsk) famous Italian brand - Zerbinotto. 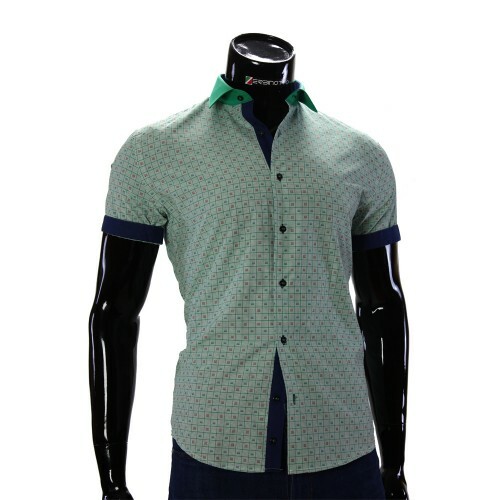 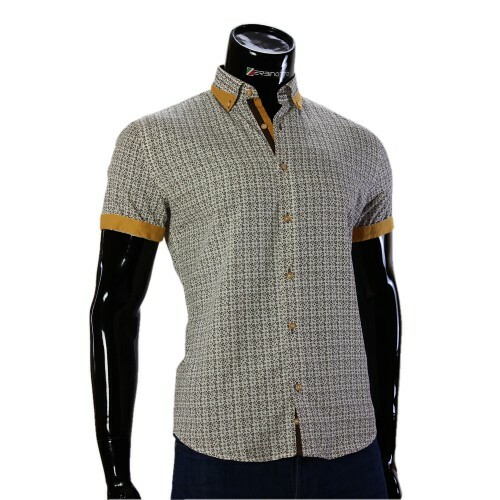 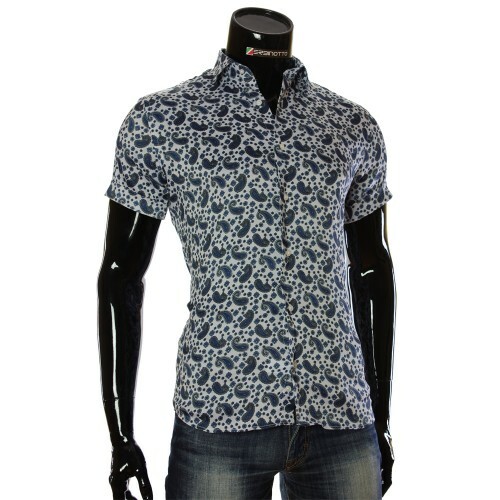 Men's stylish shirt with short sleeves pretty original. 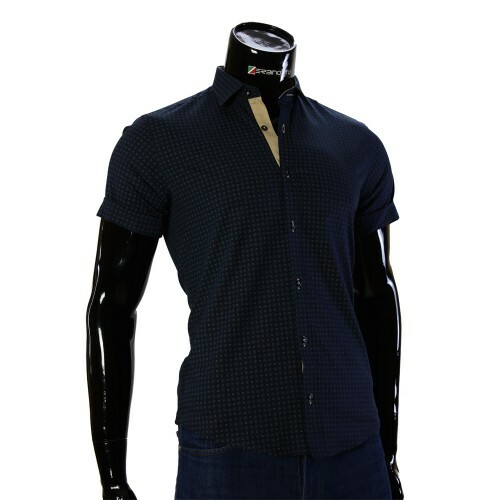 In addition, you can order and buy a shirt with short sleeves in Russia (Moscow, St. Petersburg, Novosibirsk, Yekaterinburg, Nizhny Novgorod, Samara, Rostov-on-Don, Kazan, Chelyabinsk, Omsk), which is ideal for you in the summer hot days In addition, in addition, we will quickly deliver a men's shirt with short sleeves to Moldova (Tiraspol, Bendery, Grigoriopol, Dnestrovsk, Dubossary, Kamenka, Rybnitsa, Slobodzeya).